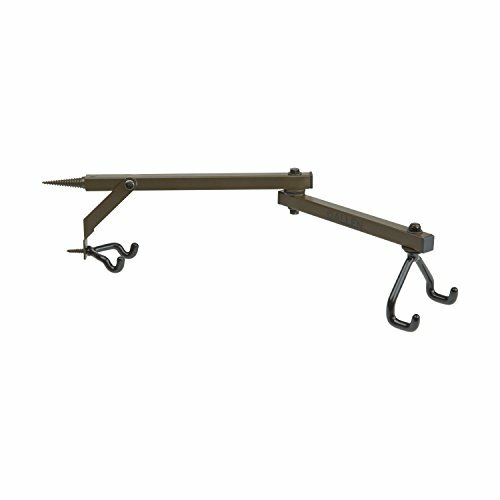 The Treestand Crossbow Hanger by Allen features a coated hook for silent on/off access. The hanger rotates for perfect crossbow placement, and the solid support bar adds strength. This hanger also has an accessory hook for hanging extra gear.